Come and enjoy an evening of fun and get to know other women in the community who want to make a difference. 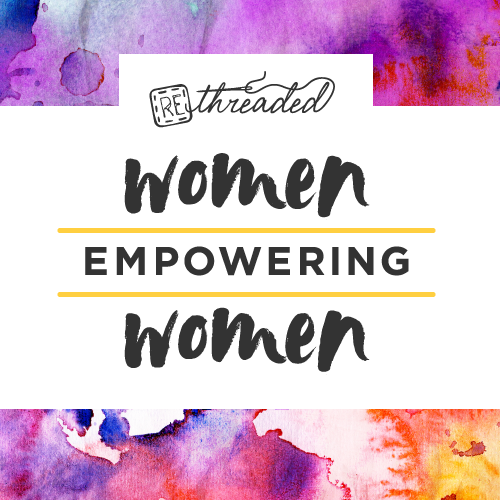 Women Empowering Women is Thursday, April 25, from 6 to 8 p.m., at Rethreaded, located at 820 Barnett St. in Jacksonville. The evening will include food and drinks, a group networking activity, and shopping — all with a focus on creating opportunities for good in Jacksonville. Tickets are $12 in advance and include two drinks and hors-d’oeuvres (click here to register). Tickets will increase to $15 at the door. Rethreaded’s mission is to renew hope, reignite dreams and release potential for survivors of human trafficking locally and globally through business. Rethreaded provides a second chance at life through employment for survivors of human trafficking in Jacksonville.